The city government and the Holy Trinity University (HTU) are relaunching the “Ladawan Tribal Village” within a hotel compound in Barangay Tiniguiban in a bid to draw tourists to experience the different ways of life of indigenous peoples (IP) in Puerto Princesa and Palawan. 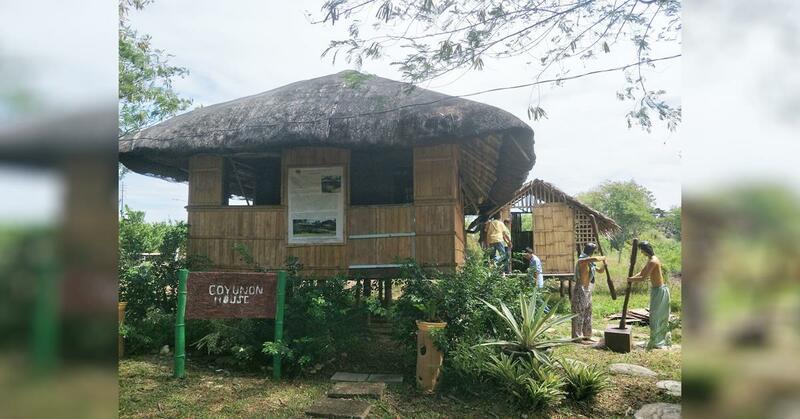 Michie Meneses, promotion and marketing division chief of the City Tourism Office (CTO), said Monday that the reintroduction of the five-year-old cultural village will be on February 26 at Sienatel Hotel in Tiniguiban. Meneses said the Ladawan Tribal Village will be the city’s new cultural tourism site. “Actually, project ‘yan nila [ng HTU], binuksan na siya five years ago, pero medyo humina siya o hindi siya naa-ano talaga nang husto kaya pumasok ‘yong city government para ituloy siya under a partnership,” she said. Tribal or cultural tourism is on the rise, she said, as tourists are drawn to the idea of getting a taste of the life of indigenous peoples which is entirely different from their own. If done ethically, Meneses said it could be a huge boost to Puerto Princesa City’s tourism industry and can help maintain the different traditions of tribal communities. “Mas madali ‘yon kesa maghahanap pa tayo kung saan natin ilalagay [ang ating cultural tourism site]. Right now, napaka-in demand na talaga na magkaroon tayo ng mga bagong attractions, kaya dapat [ay] meron na tayo agad-agad,” she said. She added that the MOU incorporated a “lifetime partnership” between the HTU and the city government in pushing forward its aim to promote not only the city’s cultural background but the whole province as well. Meneses said it will replicate the village life of nine Palawan tribes for the visitors to witness and experience firsthand. These are the Cuyonon, Agutaynen, Batak, Molbog, Kagayanen, Taaw’t Bato or Tau’t Batu, Kin ‘Uy, Tagbanwa and Pala’wan tribes. “[Ipe-present] din nila ‘yong mga tradition nila — dances, songs nila, ‘yan i-show-showcase nila doon. Hindi lang ito para sa mga turista kundi sa mismong sa atin sa mga locals para alam natin kung ano ‘yong mga sinimulan natin, [kung] ano ba ‘yong mga existing tribes na meron tayo. Open [din] ito sa school para maging field trip [venue] nila,” she said. A P50 entrance fee will be collected from the guests. The tribal village, she added, can also sell the products of the IPs to earn additional income. On Monday, Mayor Lucilo Bayron and HTU president Sr. Pinlyn B. Dahili signed a memorandum of understanding for the partnership at the City Hall. City tourism officer Aileen Cynthia Amurao said during the flag raising ceremony that the half a hectare land where the cultural village was established is accessible enough for anyone interested. “Ang Ladawan sa Cuyonon ay larawan. Ang Ladawan [Tribal] Village ay itinatag ng HTU five years ago. Makikita niyo doon ‘yong iba’t-ibang style ng bahay ng ating mga IPs. Hindi po ito nabuksan noon, kaya sa pamamagitan ng pamahalaang lungsod at ng opisina namin ay bubuksan natin ito para isulong ang ating cultural and heritage tourism,” said Amurao.